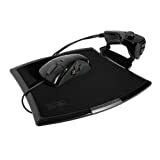 Hey guys I was recently researching reviews for the Frag FX PlayStation 3 controller. What I found was all the naturally listings for the Frag Fx seemed to be...well dishonest. That is until I found reviews directly from people who had actually used the Frag Fx for the PS3. Check it out.